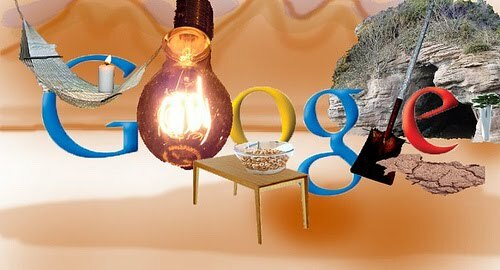 Kalinago English: Why use Google? Well, of course you do! But how often do you use it in the classroom and/or for setting pre and post-task activities? Are you familiar with all the resources they've got freely available to innovate your classroom and motivate your learners? Here's a slideshow which goes through some of the different apps and tools I've found, plus examples of how I and others have been using the different functions and products in our ELT classes. Don't hesitate to ask if you see a slide that you'd like more info on and most of all, I'd really love to learn more from you about what, how and why you've been using Google with adult, teen or young learners, so do please share your thoughts (or links to postings too)! I have been pushing my teachers for the past couple years to use more of the Google tools in the classroom. Slowly but surely we are getting there. One obstacle we faced was the different versions of Word and Power Point on our school computers. Students would lose hours of work going from machine to machine. I finally convinced them to use Google. Can I share you slide show with my staff? I would like to embed it on our school wiki and blog. Thanks. Thanks for sharing on the different versions of documents, yes! That can be such a bother when you've no idea which is the latest version of something and I love the collaborative function of GoogleDocs - keeping info in one place and easily updateable! Would be honored for you to use it - you can grab the embed code from the GoogleDoc and take it on over! And by chance if your teachers come up with some cracker suggestions, do be a kind-hearted soul and bring 'em over for me and my readers as truly would love to know more about what I can do with these functions - e.g. have been meaning to explore GoogleEarth but so far, it's been just for my own amusement! It's a very obvious one, but a google search is a great way for checking the strength of collocations. You can compare the number of hits returned for say "fierce competition" as opposed to "hard competition", or "miss the bus" as opposed to "lose the bus". And the thing is, once the students have seen how it works, they have a handy way to check the strenth of collocations when we're not around. An obvious but truly great one - have you also tried image and video search on these? Turns up very amusing authentic results or when using news search, they can topical references too! Of course, am happy to help! And when you click on the Explore Data sets - you'll find hundreds of different graphs - these can be manipulated and changed by students themselves - so basically they can create their own graphs and then use this to describe and use the language of trends and statistics. I'm a fan of the image search but I need to explore the video search more and stop relying on youtube. Thank you for reminding me! An interesting thing I forgot to mention: when I've been working with a co-author in Europe on the phone and running searches at the same time, we've discovered collocation frequencies can vary greatly. (I'm in the US) In an ideal world, I'd like to be able to search google's US site and then google's Uk site and then google's Australia site etc. Has anyone else come across this? And while I love them, there's also something I find a bit frustrating about Google's collocation searches. Google decides in its own how long a search should last and I'd love to be able to control it, so I can get better comparable results. I seem to remember having that possibility in the past but I'm blowed if I can work out how to do it these days, and think the feature might have disappeared. Does anyone know a way to do it? I remembered a post I wrote some time ago about Google Earth. I had just finished a course that enabled be to start going digital. My husband and I recorded a talk - a perfect day in Jerusalem. I managed to record in with Camtasia, edit and upload on my blog! Giant steps for me... Take a look and let us know how would you spend a day in the land of milk and honey. Hmm... not sure on how to control the length of time of a search, Vicki! Hopefully, someone else will chip in with ideas. But with regard to comparing results from different googles, if you open up different windows and then type in google.co.uk / google.com / google.ca (for example) you'll get results which differ slightly (just tried it - first 5 or so exactly the same and then after that returned different results! - COOOL ::) dunno how useful but was that what you meant? That sounds like an awesome project: just nipped over to your profile (via your linked name) and noticed you've got many, many, many blogs! Had a quick search but couldn't find your recording and posting. If you happen to pop back on over, don't hesitate to add the link to this project as would love to see it and learn from what you've been doing! My students are now familiar with "google" as a verb, i.e. to google something on the Web. Recently they completed a two-page report on a childhood disease. We initially brainstormed a list of key search words related to the disease, such as "symptoms," "vaccine," etc. and they used these words in their search. Google Wave has now gone fully public so I'm looking forward to using that as a synchronous collaboration tool. I think it's especially good for pairs/groups of students to consume media, e.g. texts, audio and images, video, reflect on it with each other and extract as much meaning and useful language from it as they can. Google Dictionary is also a very useful reference resource as it often links to real world examples on other websites of the language you look up. If you don't use a learning management system (LMS), Google Docs can be an easier way to organise students' written submissions, as you always have a single copy of a composition that both the teacher and students can edit and comment on. However, I'm not sure if you can organise automated email notifications for when a document gets edited - that's what an LMS is for! Personally, I'm not for using computers in the classroom as I think they tend to distract students. I also prefer to maximise the benefits of face to face communication and collaboration in class because it's more realistic, more natural and much faster. I tend to give my students any asynchronous projects or assignments, such as shared dictionaries, grammar wikis, forum discussions, etc., as homework. @Vicky, I'm not sure this is what you are referring to, but I recently discovered Google's advanced search feature. It certainly lets you have more control over the terms of your search (language, licensing, length of time, etc) I find this incredibly useful to narrow down the search and save time. Thanks for sharing such invaluable resources. Have you looked into it - how did you feel? I joined Grouply last week and set up a test site but within hours had strangers "friending" me... and that's definitely not appropriate for my students... actually one of the reasons we won't be moving on over to Orkut: too many spammers there, not enough restrictions, I feel. How great it is when one finds something right at the time of need! I am reading the #30 challenges by Shelly Terrell and got stuck on goal #5. Update and work on profiles... Got tired and stopped before changing blogger's. Now you look me up and find all my class blogs! Sorry... I have a blog for each of my groups at school. Here is the link to the post on Google Earth. Hope you enjoy the trip! This is great. I use GoogleDocs with my older students all the time. The fact that all the students can edit a document is perfect for group activities. In my first few classes I like to introduce Google image search for activities based on descriptions. I used to use a blog for my classes but I find that more and more I am moving to social media (fb) and Google docs. @Dani! As mentioned in my comment on your blog, what an absolutely brilliant lesson and recording! Thanks so much for coming back to share this - I loved listening to both of you planning what to do, and though I don't know if it was non-scripted - it certainly sounds like it wasn't with gave a very authentic feel! Excellent practice for students, I'm sure they enjoy this lesson very much. Nice tip on starting off classes with a google image! I like Google a lot - here are some of my uses of its services in class: concerning search - I use a lot the image search and define option for quick explanations of what is what in class, and advanced search options to search for reusable materials in class. We use Google docs for collaborative work, Google forms for gathering data, Google reader for keeping up-to-date with what interests us, blogger to share with the world what we've done, YouTube - because there are millions of useful clips there, Picassa - because it is so intuitive and user friendly... Students here rely a lot on google translate, often more than teachers are happy with ;-). Ever wondered why sites that use flash don't show up in google searches? I like the tools but it really is this just helping to propel us to a bşg brother situation? Ever wonder how many trees could be saved if google simply went to a black background? I use Google quite a lot in lessons but haven't tried some of these, so thanks for sharing! A handy tip for using the Google Advanced Search to find flash files - in the "File type" drop down box, select Shockwave Flash (.swf) and then type the URL of the site you want to search in the "Search within a site or domain" box. Super tip, thanks Sue for sharing that! Adam, you scare to easily!!! Plus, even if you were right, there's nought we can do about it. As blogians, Google is our God. Hey Sasa in Slovenia, love that tip on searching and defining images through image search. I saw a tool once on doing a whole bunch of these all in one go, but I can't remember what it was called! Tweet, Tweet: Learn English on Twitter!